Your Health Hub is a well-established multi-disciplinary healthcare and medical centre that provides high quality health care and an extensive range of allied health and specialised services and programs. We offer your organisation the convenience and peace of mind that comes from working with a dedicated and integrated team of healthcare professionals with clearly established communication pathways. Our team is committed to measurable results and high quality provision of evidence based health care practices. Our Corporate Health and Wellness services include Corporate Health Screenings, Injury Management and Rehabilitation Programs, Mental Health Programs, on site Flu vaccinations, Travel Medicine, Skin Cancer Clinic. We also have a fully equipped onsite Rehabilitation Gymnasium in our Bellerive Quay Facility and offer a range of wellness seminars and fitness programs that can be tailored to suit the needs of your organisation. Our programs and assessments are easy to organise, flexible and specifically tailored to suit your needs. Your Health Hub can provide you with a complete and integrated service that benefits your company by identifying possible future health problems of your employees and implementing strategies to minimise the risk that these factors may have on your organisations productivity. Evidence suggests that workplace health assessments and annual flu vaccinations improve workplace productivity by reducing absenteeism and improving morale. 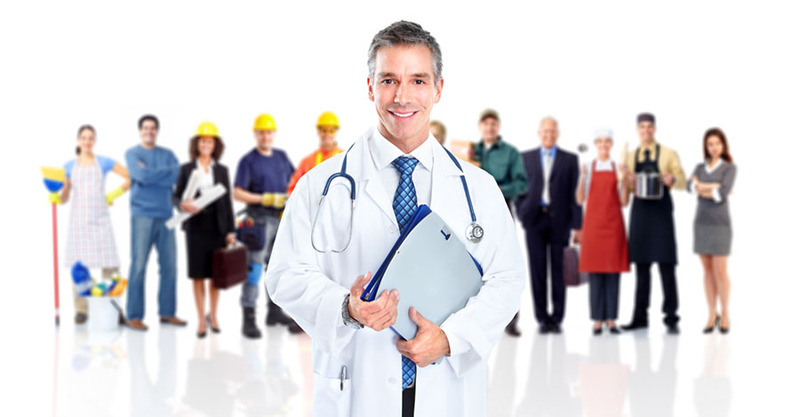 Subsequently onsite flu shots and skin cancer screenings are often the first step in many workplace wellness programs. The employee flu vaccination program is conducted at your workplace by our qualified Nurse Immuniser registered with the Department of Health and Human Services. Comprehensive medical reports will be provided guaranteed within a 7 day period. Your Health Hub provides skin screening examinations by qualified doctors with the aim of determining an employee’s risk of developing skin cancer and to check for any developing lesions. All subsequent treatments are the responsibility of the employee. Our health professionals are available to present on site talks to your employees, addressing issues such as Men’s Health, Women’s Health, Mental Health, Communication at Work, Weight Management, Quit Smoking Programs, Team Building Days, Healthy Agening, Nutrition and Wellness topics. We can tailor all seminars and programs to suit your specific needs. Our trained specialists are also available to facilitate health and wellness programs on site to your employees including group exercise (group fitness sessions, Yoga, Pilates) and stress management programs (Mindfulness, Tai Chi, Resilience and Coping Strategies). Our leadership coaches work one-on-one or in small groups with Executives and Managers in medium to large organisations. The aim of these sessions is to challenge clients to change their behaviour whilst providing support within a structured framework that empowers them to improve their bottom line and achieve long and short term organisational goals.